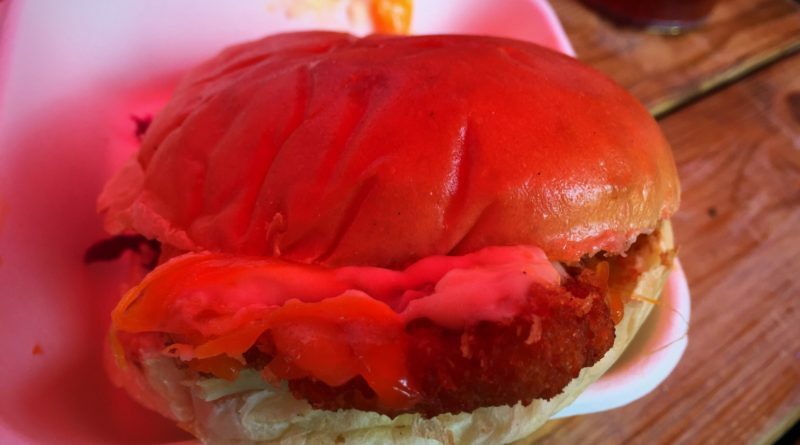 Fried chicken, topped with homemade bechamel sauce, melted cheese, cheese and more cheese, slaw in a brioche bun. 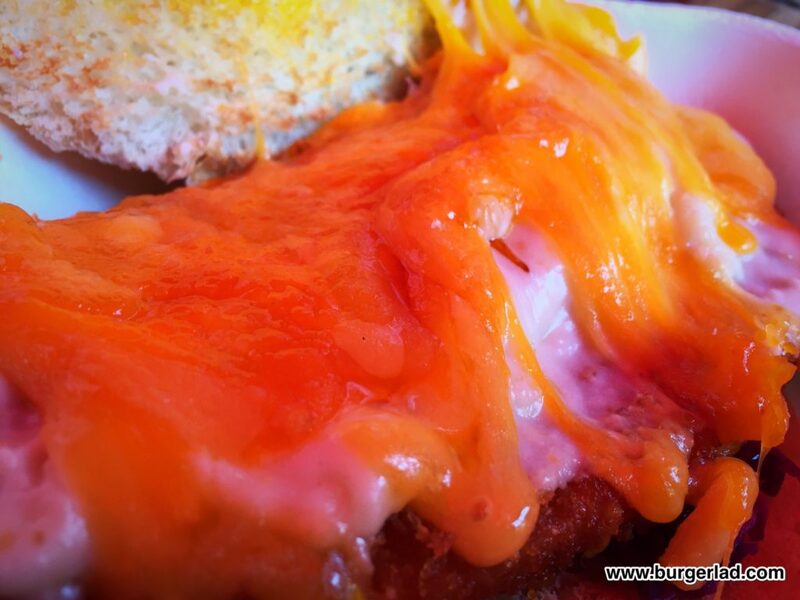 Firstly, a little background for those of you who’ve never heard of a Parmo before (and until recently that included me). It’s basically a flat piece of chicken, breaded and covered in bechamel and lots of cheese. 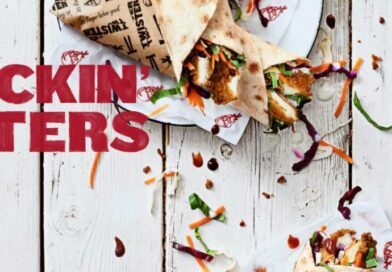 It’s apparently a specialty in the Teesside area, although with its simplicity and deliciousness, I’m surprised it isn’t more widespread. 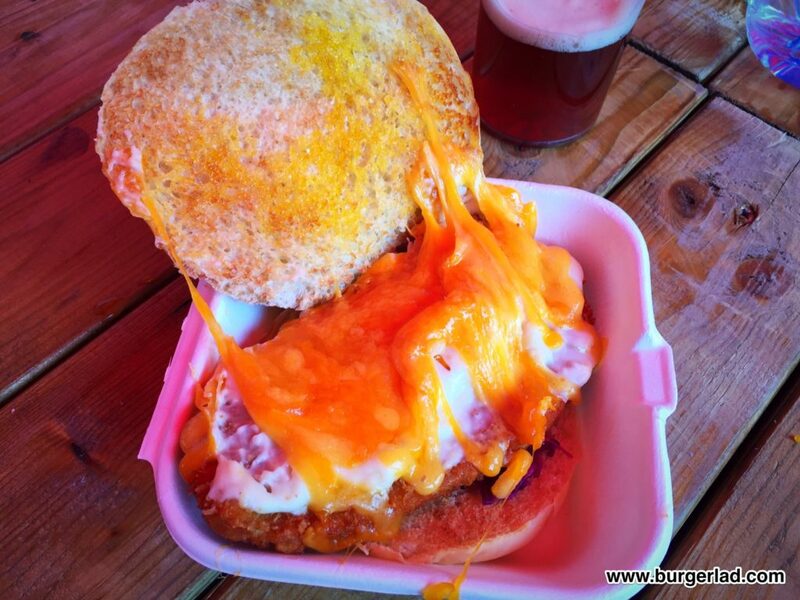 So, enter ParmStar, street food traders with the purpose of doing just that, bringing Parmo to the whole country. 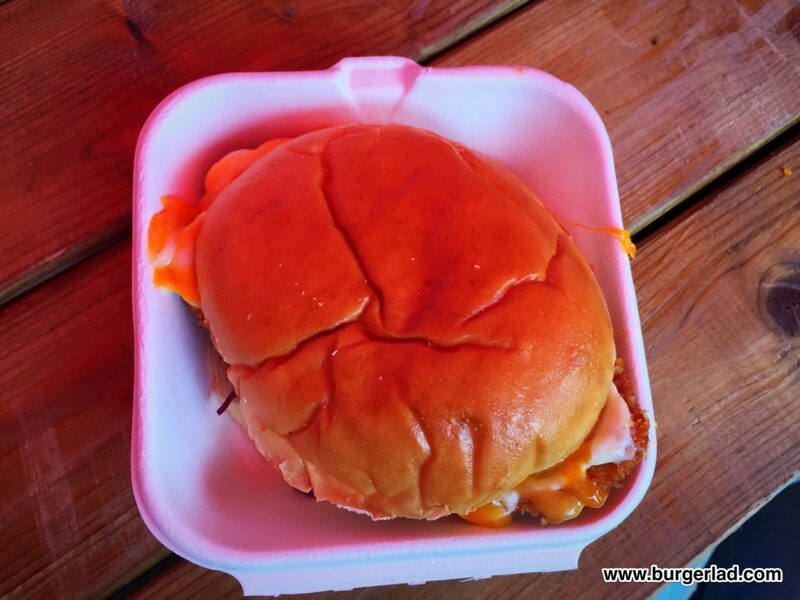 Like a lot of street food traders, the time between first noticing them and finally tucking in is quite long – usually because their schedule doesn’t fit with mine, and in the case of ParmStar, a lot of their mileage seems to be on the A1 between Newcastle and London. 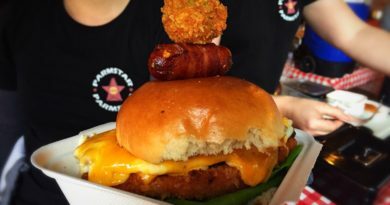 But today, courtesy of GRUB, the great bringers-together of food, drink and people, ParmStar was part of an excellent line-up at Manchester’s Runaway Brewery and I was there. 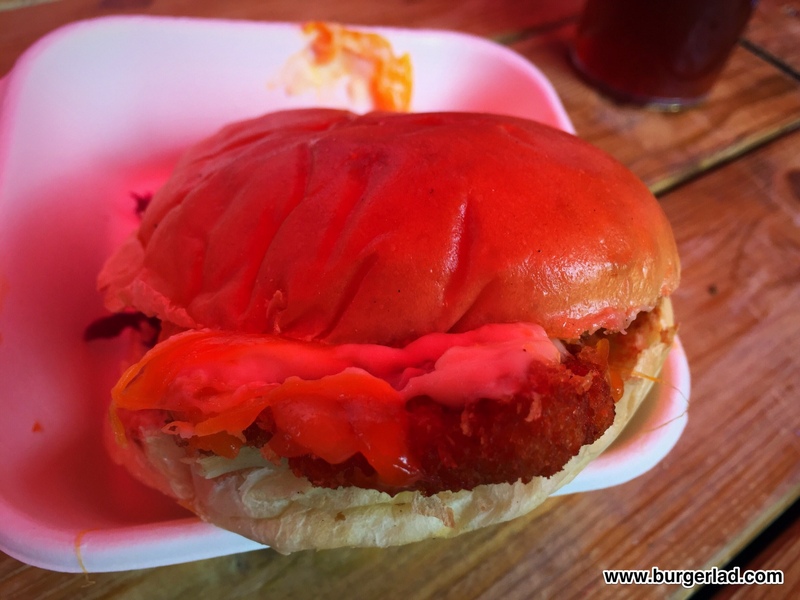 Grub is well organised with plenty of seating but not all street food events are, so presumably with that in mind, ParmStar have taken the classic Parmo and created a burger by placing it in a brioche bun. The small menu also includes a “NYC” variant and a veggie option. Nothing complicated here, keeping it simple and to the point. So, what we’ve got is a delicious simple construct at a very decent price. Suffice it to say, I was looking forward to this a great deal. A short wait, then my number was called. 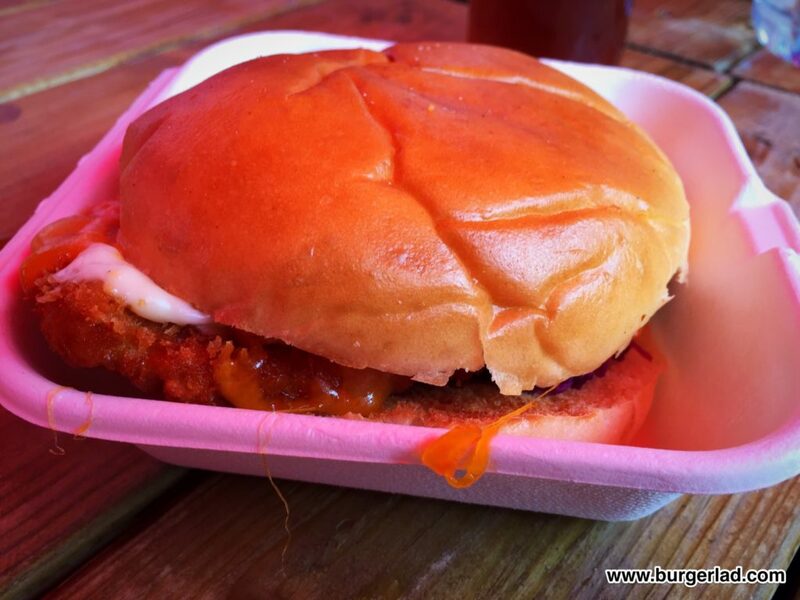 I collected my Parmo Burger in the standard white polystyrene container and went back to my table. The smell coming from the stall, and my white box, was overwhelmingly cheesy. It was powerful and very, very appetising. 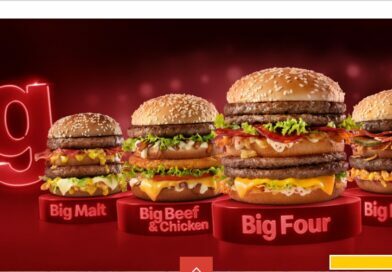 The first thing I noticed was that, although the piece of chicken was pretty large, so was the bun, so there wasn’t a lot of contents sticking out. 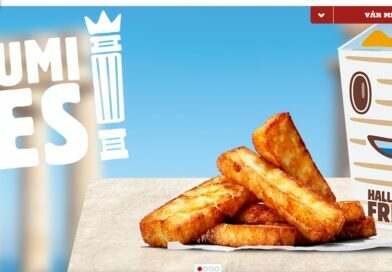 The whole thing seemed to have been planned out perfectly, and despite the sauce and cheese, I’d imagine this being fairly easy to eat standing up. Picking it up, the brioche was typical – soft and squashy to the touch but strong enough to keep everything in, and of course that lovely golden hue. 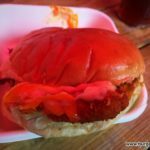 Yes, it is possibly overused to the detriment of other excellent burger buns, but it’s with good reason – it is one of the best and most suitable types of bread, especially for street food. So, the bun was tasty enough, but biting further down I was greeted with an entirely predictable but utterly amazing combination of flavours and textures. This of course meant the crispness of the breadcrumbs and the floaty pillowy comfort of the cheese and bechamel. 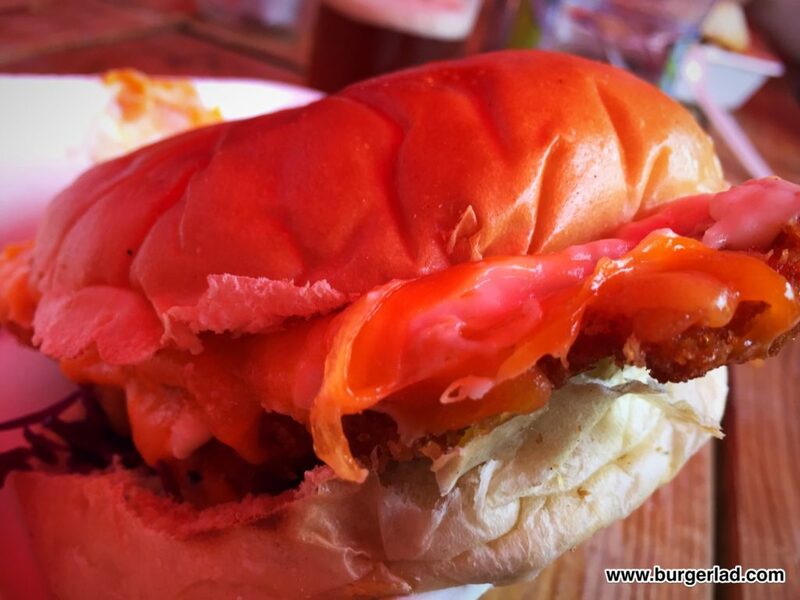 The juxtaposition of soft and hard textures in burger toppings is a tried and tested build, but here is one of the finest, and simplest examples. Can you smell the cheese…? There was also slaw on here, which I’m afraid hasn’t come out particularly well in the photos. It was a wonderful purple. Aesthetically this broke up the orangey-beige of the other ingredients, but didn’t come through too clearly on the palate. I wasn’t awfully upset by this because firstly I wasn’t expecting it, and secondly I was too busy enjoying my chicken and cheese. And that’s quite a feat- token chicken options on burger menus are aplenty, but it really isn’t something I’d usually choose, preferring beef, but here was I not only eating chicken, but having sought it out specifically! That fried chicken was lovely, and I really enjoyed the thin, schnitzel type shape. I don’t think the crispy coating was anything over-complicated but it was very well suited, and retained its crunch all the way to the end, despite the enormous volume of sauce and cheese thrown over it. 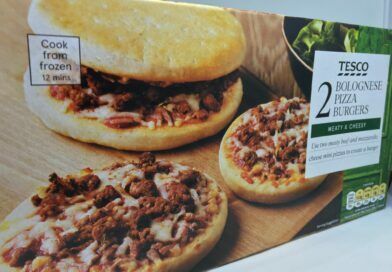 All the way through eating this, I was getting the distinctive cheese smell urging me to take ever bigger bites, and before I even realised, the whole thing was finished. Yes I probably wish I had taken more time to savour it instead of wolfing it down like an utter glutton, but I’m only human and I loved my food today. Yes, it’s “just” chicken and cheese but when you witness the argument between taste buds and waistline as to whether or not to buy a second one, you just know you’ve found something wonderful.